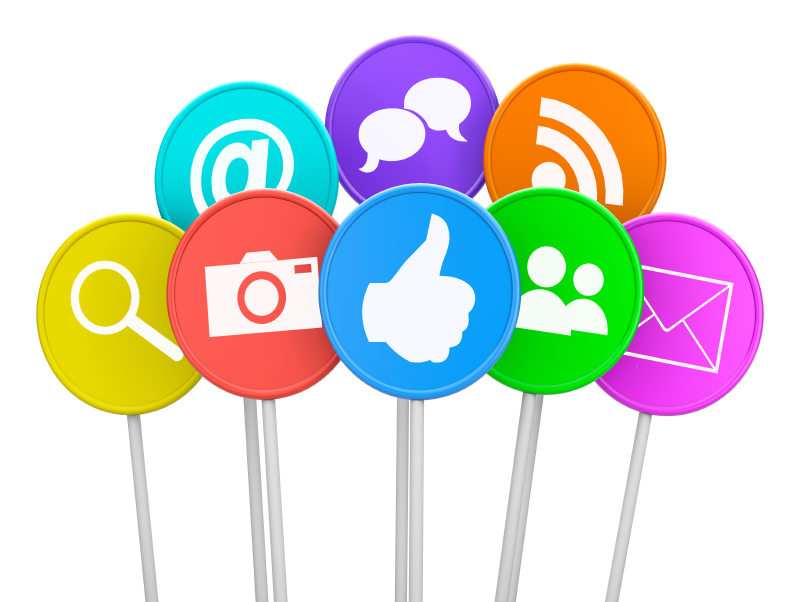 A strong social media presence is essential in today’s business world. As more and more people take to the internet and applications like Facebook and Twitter to get their information, surviving without fully utilizing these programs is not likely to happen. But with so many different platforms to update, it can be overwhelming to get started. With a helpful checklist that outlines the things you should be doing to increase your social media presence, you can gain control of your posting and find a schedule that works best for you. Start with a strategy – Your content needs to be relevant to a client’s situation for them to fully engage in your posts. Addressing common challenges and frustrations in your target market is a good way to bring people in. By offering suggestions on combating these issues or ways to make them more bearable, you are finding common ground. Answering frequently asked questions is another way to gain readership and followers because they are experiencing the same problems that you are, making your answers a resource. Create interesting content that people want to engage with and share on social media – Blogging is taking the world by storm. Companies big and small are investing in their brand’s blog as an outlet to share advice on topics that are directly relevant and also on issues that work around the products they serve. Quality content is king. A good rule of thumb is to post one or two blog posts a week on the same days so your readers know when to expect new content is coming. In today’s digital age, all blog posts should be accompanied by a captivating graphic that is optimized with keywords. Begin each blog post with an eye-catching headline that uses keywords and end each with a call to action to get your followers engaged so your blogging feels more like a conversation rather than a report. Also include social media sharing buttons on every post for an easy way for readers to spread your content around. Diversify your content offer your expertise – When you are comfortable with your followers and feel you are achieving an active voice in your industry, branch out to other content options. Writing an E-book can be a lucrative venture if you feel you are an expert in your field. Offering free printables like checklists, tip sheets and other documents gives your readers a place to keep track of information and engages them with your information. Creating infographics and videos are equally as effective. Offering a webinar or workshop to showcase how to use your product or best practices is a sure-fire way to gain followers. Put together your Facebook strategy – Facebook has come a long way since its beginning days of being only for college kids. There is no better way to reach the masses than by having an active Facebook page. Even with the changes to the business pages of Facebook, you can still draw followers and engage with them. The key to utilizing it is to update your status regularly, at least once a day. A best practice is to test post at different times of the day to see when you are reaching the most people and use that as a guideline of when to share your content. Always share your blog content on Facebook and use as many graphics as possible to catch people’s attention. Gaining interaction should be a main focus as the more people engage, the higher your traffic numbers will climb. This should not be only about sales. The best rule of thumb is the 90/10 rule – 90% great content while only 10% is promotional. Try to respond to as many comments as possible and tag other companies when appropriate. Add some Twitter interactions – Much like Facebook, Twitter is a major social media platform that can really be used to get your name out there and engage new readers. You should be posting at least three tweets per day and following at least 10 people or companies each week. Sharing your blog with a captivating headline will ensure people are going to pop over to check it out. Always thank people for retweeting your content. Attach an image to your tweet when you can. This makes it stand out and gives it a better shot in getting noticed in a sea of tweets. Improve your LinkedIn presence– LinkedIn is much more than just an online resume. It speaks volumes about your company. Keeping your company’s profile and also your personal profile updated is essential. You should be giving professional recommendations to customers and colleagues once a month. Joining industry groups is a great way to stay on top of what is going on in the industry and network with other professionals. Once you are proficient in utilizing these social media applications, you will see start to see marketing momentum growing for your business. Having a large social media presence can also attract top talent who will continue to help you grow and increase revenue. In today’s society, social media holds the key to success.